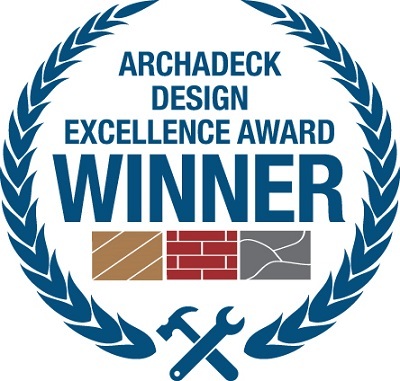 Archadeck of Austin wins the Archadeck Outdoor Living Design Excellence Award three times over! Wow, we’re three for three! Archadeck of Austin entered the Archadeck franchise system’s quarterly design contest in all three categories, and guess what … we won all three categories in the 4th Quarter of 2017. What a feat! We were stunned and extremely pleased to be honored not once but three times in the same quarter. The three design award categories are Deck, Porch/Room and Hardscape/Patio. Each of these categories represents a specialty area in outdoor living design. Added together, they describe the full range of outdoor living space designs Archadeck of Austin creates month after month, project after project, and no two designs are exactly alike. Our award-winning deck design was this deck-patio-pergola combination project in Steiner Ranch, TX. Our winning entry in the Hardscape/Patio category was a substantial stone patio in the Berry Creek neighborhood of Georgetown, TX. 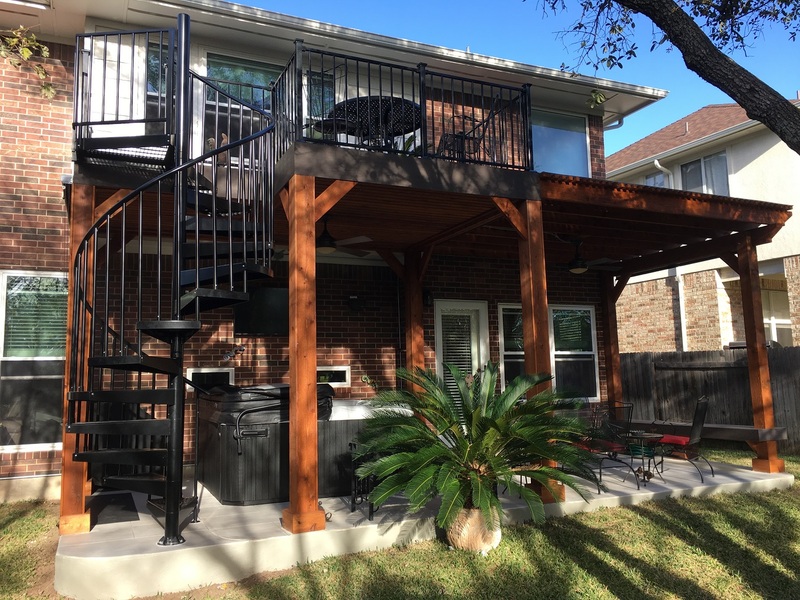 Archadeck of Austin transformed the home’s original patio into a beautiful and more functional multi-purpose outdoor living space. The design included an outdoor kitchen at one end and a sweeping stone seating bench at the other end. The homeowners selected an unusual, stunning flagstone for the patio surface and steps, and the effect is gorgeous. 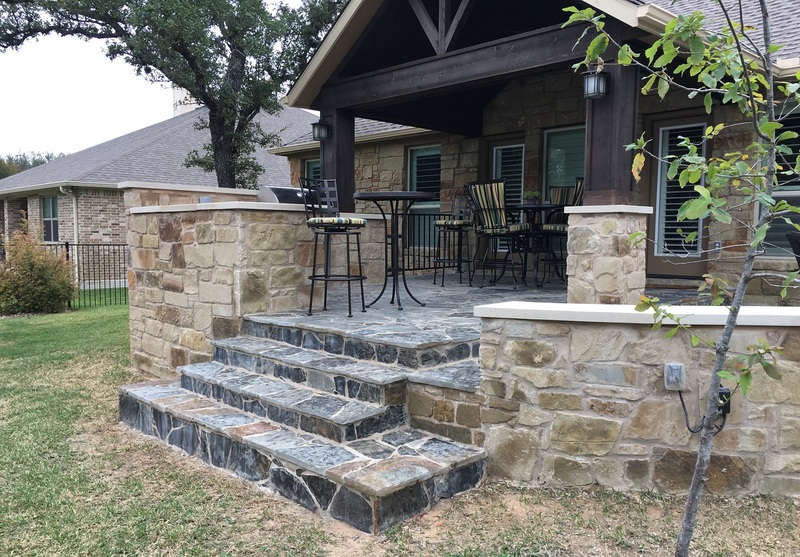 You can read more about this project in our story Don’t just own that outdoor space — make it your own, like these Georgetown, TX, homeowners did! When we entered all three categories, we didn’t expect to win all three! The Archadeck Outdoor Living national Design Excellence Award winners are selected by the Archadeck locations nationwide. Not only is it an honor to win, the award is made more special by the fact that it is decided by our peers! We share this honor with our three winning clients, because each project is truly a collaboration between the homeowners and their Archadeck of Austin designer. If you are looking for a winning design for your new outdoor living space, whether it’s a deck, porch or hardscape you have in mind, contact Archadeck of Austin today at (512) 259-8282 or via email at [email protected] to schedule a free design consultation.